Learn How To Turn Sign-Up Offers Into Risk Free Cash in Australia! All you need to make no risk Matched Betting profit in Australia. Learn how to turn promotional offers into risk free cash! The best FREE resource for starting matched betting Australia. Free Guides, Community & Tools. We teach you how turn bonus bets and sign-up offers into risk free cash to make a guaranteed profit from the bookmakers. Start with the 8 step, no-risk matched betting Australia tutorial. It takes about 30 minutes to your first profits and no experience is needed! We’re here to help. If you need anything just ask in the new forum, or join the Facebook group. Click To Get Started 100% FREE! How Matched Betting Australia Works? Sign up to the bookmaker and claim your free sign-up bonus bet. Place the bet with the bookmaker, then an opposing bet on the betting exchange, covering all outcomes. Extract the cash value from the bonus without risk and move onto the next bookmaker. What Is Matched Betting Australia? Risk Free Profits - No Gambling! Playing two bookies against each other to profit from the free bonus bets they offer every week. Zero gambling involved. Made for complete beginners, we tell you exactly what to do to make your first no risk matched betting Australia profit. Step by step. This is a 100% free matched betting community for all Australian residents over 18. We have all you need to start. We turn free sign up bets into real cash without any gambling. We then find the latest offers in the matched betting Australia group so you can maintain steady profits. Join The Largest Matched Betting Australia Community For Free With Well Over 1000 Active members! If You’re New To Matched Betting, Start Here. Complete the no risk matched betting Australia tutorial, make your first profits and see how it works. 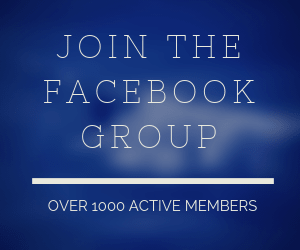 After you make your first profits, join the Facebook group to make weekly profits from other bookie promos! If you need any help along the way, we have all the matched betting Australia guides and a free matched betting calculator to help with your bonus bet calculations. In the "Todays offer" section, you can see the plays we use to profit after the sign up bonuses are finished! All the tools needed to start matched betting, Completely free, including our free Matched Betting Calculator, Dutching Calculator and Arb Calculator. Bonusbank Review 2019 & Tools For More Profit!